Become better at designing unified compositions. Be more successful in visually communicating your story. Gain important clues about the meaning of an art piece. There are two types of space that exist within art — positive space and negative space. Positive space is the actual objects or shapes within an artwork and negative space is the space around and between those objects. A good way to demonstrate positive and negative space is by utilizing Rubin’s vase. 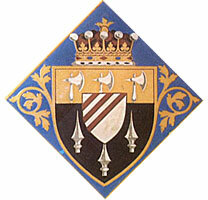 (Refer to illustration.) As you can see the vase occupies what would be referred to as positive space and the space surrounding the vase is negative space. Notice how the negative space is forming silhouettes of two faces in profile. Positive space is the area or part of the composition that an object or subject occupies. It is usually the main focus of the painting, such as a vase of flowers, fruit, or candle in a still life, a person’s face in a portrait, or an animal in a wild life painting, or a building, trees and hills in a landscape. When used skillfully, positive space will add interest by enhancing and balancing the negative space in a composition. 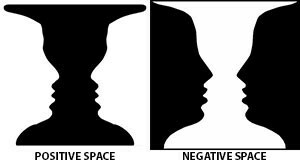 Negative space is that empty or open space that surrounds an object. It helps to define the object, gives it some breathing room to prevent the painting from being too crowded and has a huge impact on how the art piece is perceived. An interesting thing about negative space is it can be used to prompt viewers to seek out subtle hidden images within the negative space causing your design to get more attention and to be remembered while other less interesting works aren’t. Why is negative space so important? It can add interest and is an excellent way to draw attention to your works of art. A good balance between great negative space and intrigue will cause the viewer to desire more time looking at your work of art. 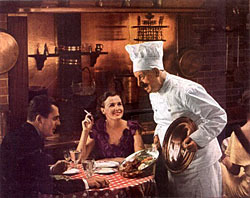 It can draw the viewer in giving them a sense of inclusion because they discovered a subtle hidden message or image in the composition. Even though it may be a simple composition, great negative space reveals there is more to the piece than first meets the eye making it a more rewarding experience for the viewer. 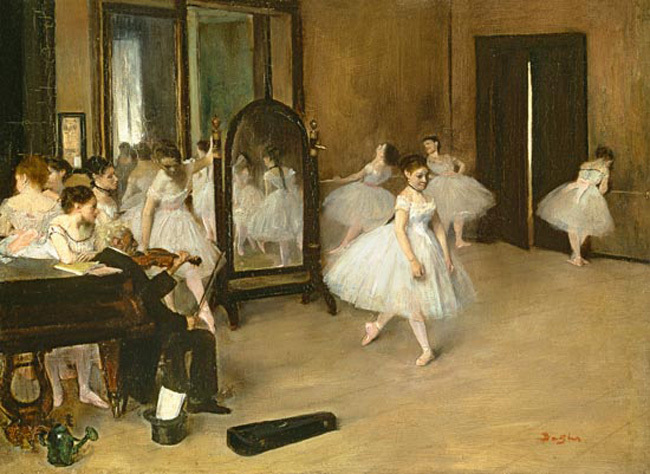 It gives the eye a “place to rest,” thereby adding to the subtle appeal of the composition. 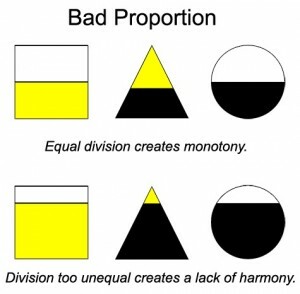 The equal amounts of both negative and positive is considered by many to be good design. Does a negative space have shape? In what ways is negative space important to the overall success of a composition? Texture is essential in paintings to make objects appear to be real. Even in abstract paintings texture can serve to enhance the viewers experience by suggesting certain feelings or mood regarding the artwork. Texture can also serve to organize and unify various areas of a composition. Texture can either add to or take away from the overall effect of the composition. When it is used haphazardly or in the wrong way, it can confuse or clutter the painting. However, when used with deliberate skill, texture will bring a composition together creating the illusion of realism and adding unity. There are two types of texture — tactile and visual. Tactile texture is the real thing. It is the actual way a surface feels when it is felt or touched, such as rough, smooth, soft, hard, silky, slimy, sticky, etc. 3-D art such as sculpture and architectural structures are tactile in nature because they can be felt. An example of real texture would be wood, sandpaper, canvas, rocks, glass, granite, metal, etc. Even the brush strokes used in a painting can create a textured surface that can be felt and seen. The building up of paint on the surface of a canvas or board, so that it creates actual texture, is called impasto. Painters may choose to apply their paints thickly or thinly depending on overall effect that is wished to be achieved. Visual texture is not real texture. All textures you observe in photographs are visual textures. No matter how rough objects may seem to appear in a photograph, the surface of the photograph is always going to be smooth and flat to the touch. Artists can create the illusion of texture in their paintings by simulation or implying it through the use of various art elements such as line, shading and color. It is created by repeating lines, dot or other shapes to create a pattern. Varying the size, density, and orientation of these marks will produce other desired effects as well. What other textures can you think of? Comment below. Value is a basic element of art that refers to the gradual change of lightness or darkness of a color. It is created when a light source shines upon an object creating highlights, form shadows and cast shadows. Value is most evident on the gray scale where black is represented as lowest or darkest and white is represented as the highest or lightest value. Or more simply said, they are the various shades of grey between white and black. 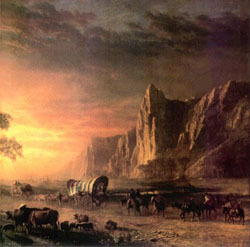 Artists us them to create highlights and shadows (shading) in objects and create depth in their paintings or drawings. Colors can have value too. 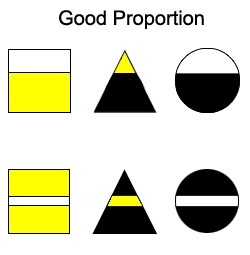 In painting, value changes can be achieved by adding either black or white to the chosen color. 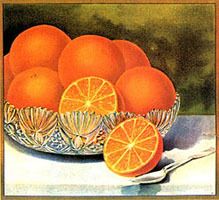 Some colors, like yellow and orange, are naturally light in value. Successful paintings have a full range of value. This means that there are ample amounts of both light values and dark values. Paintings which possess a full range of values tend to stand out more and are more pleasing to the eye. Value creates contrast and adds emphasis. The human eye tends to be drawn to areas of high contrast. High contrast occurs when lighter elements are placed directly next to much darker ones thereby creating a dramatic effect. 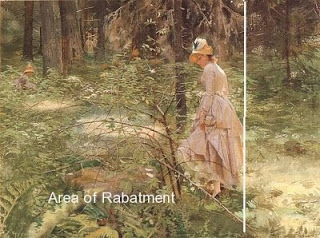 This is a technique that is used to draw attention to specific areas of a painting that the artist wants to emphasize thus creating a focal point. For example, a light figure on a dark background will become the center of attention, and a dark figure on a mostly white background will command the eye’s attention as well. Value creates the illusion of depth. Value is an important tool to suggest roundness or depth. It helps to create depth within by making an object look three-dimensional or a landscape to appear to recede into the distance. Light values make elements feel like they are further away and dark values make them seem closer. Value creates opportunity to set the mood. Low Key — These are paintings that exhibit mostly dark values and very few lights. Low key paintings have very little contrast and seem to communicate a depressing, sad, or mysterious mood. Paintings with predominantly dark values often conveys a sense of the nocturnal and secretive, of things hidden just beyond sight. High Key — These are paintings that feature mostly light values and very few darks. There isn’t much contrast in a high key painting. 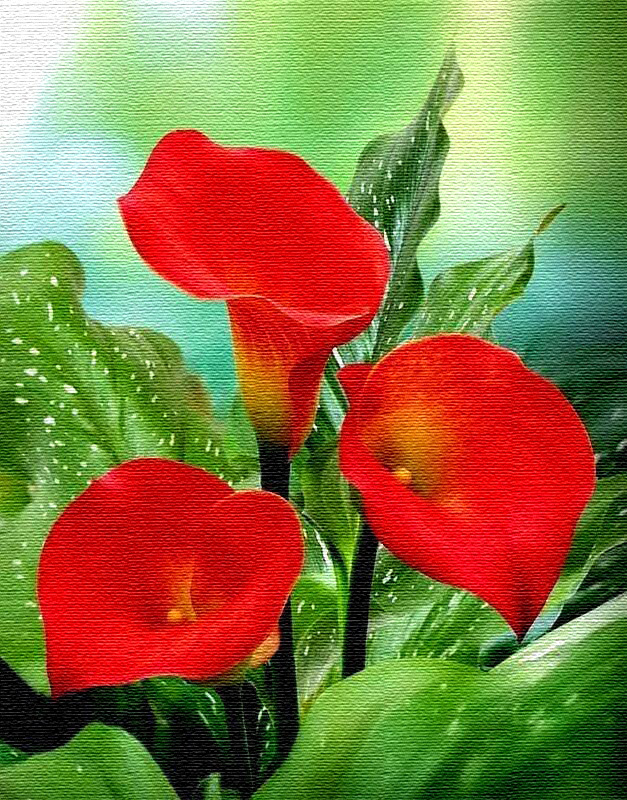 Usually these paintings possess a light, happy mood. Female portraits are often high key as they can convey delicacy, innocence and dreaminess. Using both high and low key colors in a painting can create contrast which often feels dramatic or exciting. In art, composition is how you arrange the various elements to create a pleasing and eye-catching arrangement or design in your oil painting. Good composition is paramount to whether or not your painting will be a strong and interesting work of art or a weak and disordered one. When the composition is done well, you do not notice it so much. You just know there is something interesting about the painting that you find appealing. However when it is done poorly, the painting doesn’t look quite right and just feels awkward. Creating a good composition will be challenging in the beginning and you will have to work at producing a strong one, however eventually with practice, it will become second nature. Here are three easy methods of good composition that you can use to dramatically improve your oil paintings. 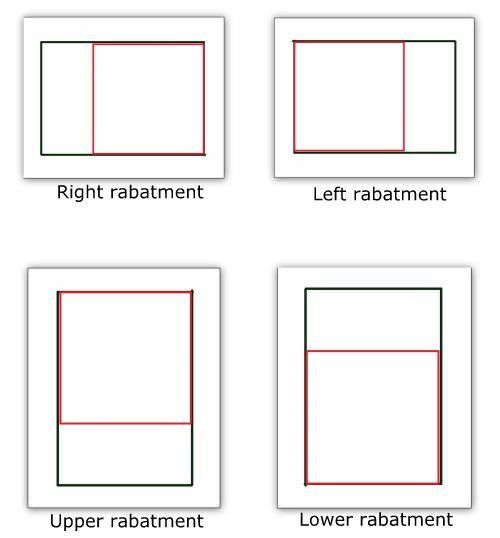 A technique for creating better compositions is called “rabatment of the rectangle.” Rabatment is a way to divide up the space within a rectangular shape to create a square with four equal sides that are equal to the short side of the rectangle. In other words, it is the perfect square that can be found inside any rectangle. 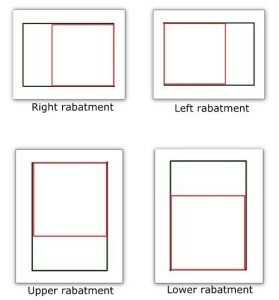 For each landscape (horizontal) rectangle, there is either a right or left rabatment and for each portrait (vertical) rectangle there is an upper or lower. It is within these squares that you would place the most important aspects of your composition, thereby creating a center of interest. Compositions are much more interesting to view if they are not located directly in the center of your canvas. See diagram above. When you use this simple technique to compose your oil paintings, you are more likely to create a composition that is unified, harmonious and balanced. Next time try enclosing the main center of interest within the rabatment square on the canvas. You can use either upper or lower square on a vertically oriented canvas, or left or right square on a horizontally oriented canvas. The elements outside of the rabatment should compliment the center of interest that is located within the square. 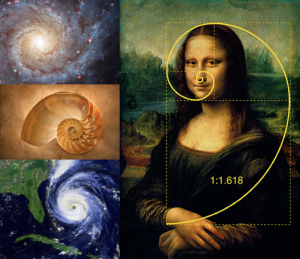 The next technique used for compositions in art is called “the golden ratio” and is a little more complicated than the first one talked about. The golden ratio is a mathematical ratio commonly found in nature that can be used to yield pleasing, harmonious proportions within a painting. 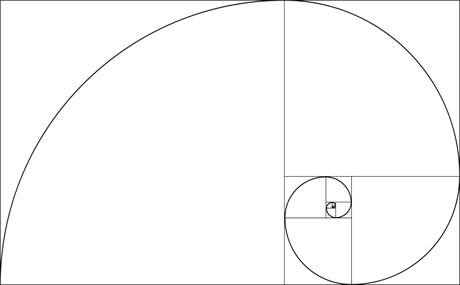 It has many names, with the most common ones being the Golden Section, Golden Ratio or Golden Mean. 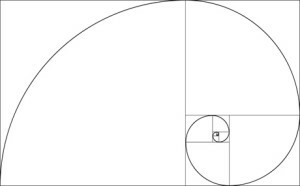 Some lesser known names for this rule is called the Golden Number, Divine Proportion, Golden Proportion, Divine Section, Golden Cut, Fibonacci Number and Phi (pronounced “fie”). The gold ratio isn’t merely a definition, it’s an actual ratio of 1:1.618. There is a simple way to demonstrate this ratio and that is by using a rectangle with a width of 1 and a length of 1.618. Within this rectangle is a square with a ratio of 1:1 and another rectangle with a ratio of 1:1.618. 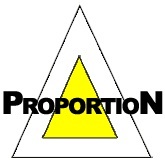 If you were to draw another square within the smaller rectangle, once again you have a 1:1 ratio square and another rectangle whose proportions are 1:1.618 just like the larger original rectangle. You can continue to divide the resulting smaller rectangle as before on into infinity. Give it a try. The golden ratio can be used to create beauty and balance in the layout and design of all your paintings. Note the point where the diagonal lines intersect. That particular point is key when using this ratio to compose your paintings. You want to place your key elements or focal point at this intersection. As already stated, the golden ratio is infinitely divisible. This means multiple intersections can be identified where sub elements of a scene can be placed. Great compositions don’t just happen by accident. They require a lot of thought, planning and patience, as well as a familiarity with the visual elements. A composition is the careful placement of the various elements within a painting. It can either be a good composition or a not so good one. When the composition is done successfully, however, it will draw the viewer’s gaze into and around the painting surface leading it from one element to another taking everything in and finally resting on the main subject of the painting. The rule of thirds is a useful guideline used by many professional photographers to aide them when composing the subject matter of their photographs. It is also a very helpful technique that can be used by painters as well. The idea behind this rule is to divide your painting surface into 9 equal parts. Then position the most important elements in the scene along these lines, or at the points where they intersect. Divide your canvas into 9 equal segments by drawing 2 vertical and 2 horizontal lines at the 1/3 and 2/3 measurements creating a grid. Determine where the horizon is going to be, ether on the top horizontal line or the bottom line. Arrange the most important elements of your subject matter at one or more of the points where the lines intersect (also referred to as ‘hotspots’). The rule of thirds states that a painting has a stronger composition and is much more interesting to view if the center of interest is not directly in the center of the canvas, but rather at one of the four focal points where the vertical and horizontal lines intersect. By placing a secondary object at the opposite intersection, balance in the composition can be achieved. 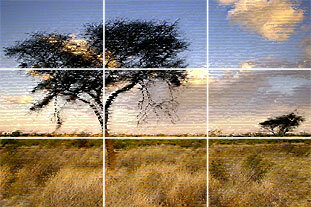 In the instance of the example above, note how the horizon falls close to the bottom grid line, and how the subject matter (the tree) is placed at an intersecting area on the left. By doing this, it has served to add balance and create interest in the composition. When you apply the rule of thirds to your work, it guarantees you’ll never have a painting that’s split in half, either vertically or horizontally, nor one with the main focus right in the center like a bull’s-eye. When a subject matter is placed directly in the center of the canvas it tends draw the eye into the center and the rest of the painting is ignored. 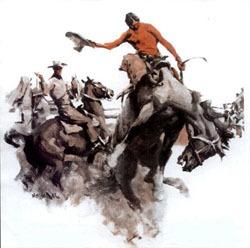 When the subject matter is located on or near a hotspot, the eye is drawn to the focal point and then around the painting creating a flow or movement from one element to the next. The rule of odds states that a composition is much more interesting to look at when it contains an odd number of elements rather than an even amount. An even number will have the tendency to create symmetries that can quickly become boring and uninteresting to look at. When we see multiple objects that are even in number our mind tries to group them into pairs, which often leaves the center of a scene empty. The human eye is naturally attracted to the center and an even number of elements creates an empty space in that center. Having an odd number of things in a composition means our eye and brain can’t pair them up or group them easily. There’s somehow always one thing left over, which keeps our eyes moving across the composition. The rule of odds also applies when there is a single subject surrounded by an even number of supporting subjects. In this way there will always be an element in the center “framed” by an even number of surrounding objects. This framing is more comforting to the eye and thus creates a feeling of ease and pleasure. When painting a portrait (whether a person or animal), if your subject is not looking directly at you, leave some negative space in the direction the eyes are looking even if they are looking at something off-canvas. 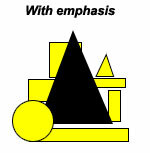 When picturing a moving object, such as runner or vehicle, placing negative space in front of the runner or object rather than behind creates a sense of direction or implication of eventual destination. If your subject is pointing at something or aiming an object place some negative space where the subject is pointing or aiming. These techniques can be very useful to the artist in creating a good composition. They work best when used together and not individually.